Aside from cake, spaghetti and hotdogs, a kiddie party is never complete without one thing – ice cream! Kids just love this sweet and creamy stuff that comes in all sorts of fun flavors! 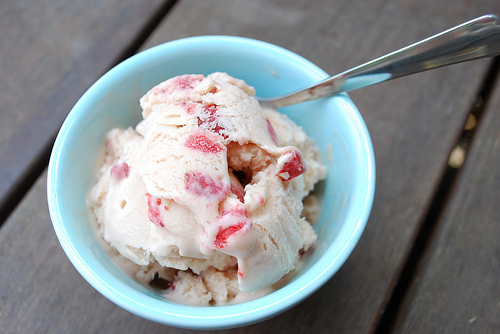 From chocolate, strawberry to vanilla to cookies and cream, and what have you, ice creams have them all! In most cases, ice cream is served in a cone and although this is great for adults, this can cause a problem for kids. As you know, kids can play pretty rough and they do not have full control of their motor skills just yet. So you can imagine the kind of mess they can make holding an ice cream cone in their hand. Luckily, there is a simple solution to that problem – ice cream cups! Ice cream cups are way more convenient than an ice cream cone for children because they do not have to eat it fast because even though the ice cream melts (as it surely will), it will not drip on their clothes and cause a mess. They can carry it around as they walk and talk to other kids with relative ease. But why settle for boring ice cream cups? Usually, it is just a simple white plastic container. Give it a little twist because today, cups for ice cream come in all shapes, colors and sizes! If you have a certain theme for your kiddie party, you can match it with that too! You can choose the simple designs with balloon or gift prints or you can go wacky and pick those with an irregular shape like a boat for instance. Kids will find it simply attractive and they only have you to thank for it. Yup, with a little creativity, your kid can have a blast in the party.